Oftentimes, your interests can help dictate your career path. Have you always excelled in chemistry, biology, or statistics? Are you interested in studying drug metabolism, veterinary pharmacy, or even conducting pharmaceutical research? If so, a career in pharmacy may be for you. Pharmacy students have both a passion and proficiency for these subjects—both are essential to making informed decisions on proper dosage, utilization, and distribution of medications to people and animals alike. Pharmacy students want to pursue a career where they can build relationships directly with patients. Pharmacists provide patient-centered care. They consider the relationship between medical conditions, lifestyle, and other variables to help choose the best medications. Pharmacists also work with colleagues to conduct research, establish new pharmaceutical practices within specific business entities, and collaborate with doctors to ensure that patients are receiving the correct medications. The variety of career pathways that exist within pharmacy is another compelling reason students enroll in pharmacy school. From nuclear pharmacy, which uses radioactive drugs to treat diseases such as cancer, to veterinary pharmacy, which hand-makes medication for animals; you can easily select a career that most interests you. Additionally, it’s important to keep in mind that you don’t have to know what you want to do right now. A pharmacy degree (PharmD) is prestigious, and therefore opens the door to countless possibilities and grants you time to explore the fields that interest you most. 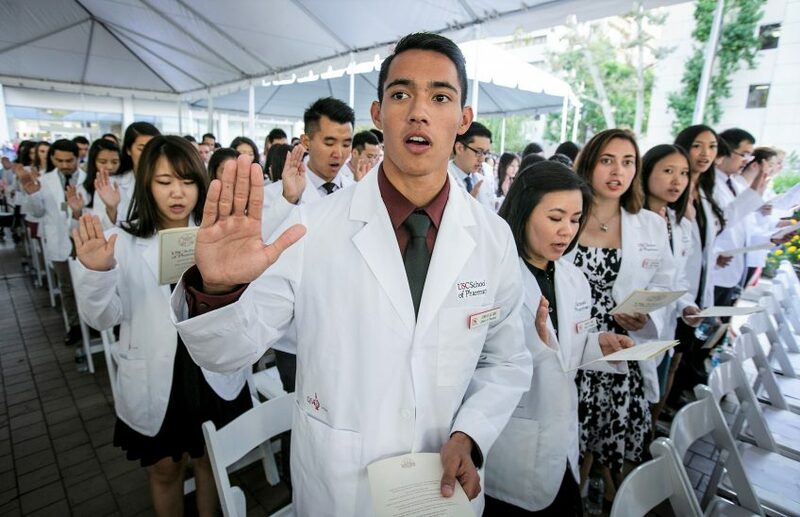 While the majority of students enroll in pharmacy school because they want to help others, some students pick pharmacy because they want to stay far, far away from typical doctoral activities. Believe it or not, several pharmacy students suggested that they were drawn into the field because they didn’t want to interact with blood. If this rings true to you, a career in pharmacy can serve as the best of both worlds, as pharmacists can assist patients without dealing with blood and guts. If you identify with any of these four reasons, a career in pharmacy may be right for you. Learn more here.